Today we welcome debut author Keli Gwyn to the Inkwell -- and a giveaway! Those words, uttered by a nurse at my doctor’s office last October, filled me with trepidation. I’d gone in for a routine physical. My doctor ordered my annual mammogram and a bone scan, the latter being requested in order to get a “baseline” since I’m a petite post-menopausal woman. I went in for the tests and went on with my life, not giving them another thought. After all, my doctor said I was the picture of health. I fully expected to get the standard snail mail letters telling me all was well, so that phone call, the first of its kind I’d ever received, came as a bit of a shock. The request for the appointment came on a Friday, but I wasn’t able to get on the schedule until the following Tuesday. I faced four days of waiting. Being a writer, I’ve had practice waiting, but this made hoping to hear from a publishing house seem like nothing. This was my health we were talking about. I did my best not to stress, but I’m convinced the Lord had the writers of Scripture include those verses instructing us to “be anxious about nothing” just for me. I’m a wee bit of a worrywart, so I fretted and stewed and was in danger of nibbling my nail to nubs. On that blustery morning on the first of November, I walked into the doctor’s office, took one look at my doctor, and knew she had some not-so-hot news for me. That baseline bone scan showed that I have osteoporosis. Yup, me—a 52-year-young woman—had already suffered enough bone loss to qualify for the diagnosis. My doctor and I discussed my treatment options. Due to my age, I chose to go with the calcium supplement and exercise option instead of relying on the “Sally Fields” prescription drugs, which she doesn’t recommend using for more than five years due to the potential side effects and increased risk of cancer. My doctor applauded my decision. I left the office in a state of shock. Now, I realize that an osteoporosis diagnosis isn’t all that bad, but this is the first major health problem I’ve faced. Couple that with the fact that I’m a writer who wholeheartedly embraced the sedentary aspect of my chosen profession and was being forced to get off my backside and engage in what I used to refer to as the “e-word,” and it’s understandable that I was a bit shaken. My parents have often referred to me as a Sherman tank because, despite my size, I head into battle ready to fight. I embraced that trait, driving from my doctor’s office directly to my local Curves and registered for their circuit training. Determined to arrest—or even reverse—my bone loss, I signed on the dotted line without delay and showed up for my first workout the very next day. It’s been nearly a year since my osteoporosis diagnosis, and I’ve seen the Lord use it in ways I never imagined. He’s changed my attitude toward exercise. I workout at Curves three days a week and walk the other four. And I enjoy doing so. I sleep better, don’t run as cold as I used to, and am not as stressed as I was in my exercise phobic days. One of the biggest benefits is how God has used the diagnosis and resultant lifestyle changes to enhance my marriage. Gwynly loves to exercise and was eager to have me join him on his walks. As we rack up the miles, my active guy and I talk and talk and talk some more. Gwynly has remarked several times, somewhat apologetically, that he’s grateful for the diagnosis because it’s led to me spending more time with him doing something he enjoys. I understand what he means, since I feel the same way at times. Who woulda thunk that God could use my osteoporosis diagnosis for good? But He has, and I’m grateful for that. I’ll be going in for a bone scan next month, and I like to think the numbers will show that I have indeed arrested or reversed the bone loss. No matter what the results are, though, I have faith the Lord will use this test to bring about His best in my life. Have you or a loved one received an unexpected diagnosis? If so, how has the Lord used it to work good in your life or theirs in unexpected ways? Keli has graciously offered an autographed copy of her novel, A Bride Opens Shop in El Dorado, California, to one lucky entrant! Please leave a comment with your email address (safely spaced out) by 9 pm. Eastern time, Saturday, Sept 15, and we'll randomly choose a winner. 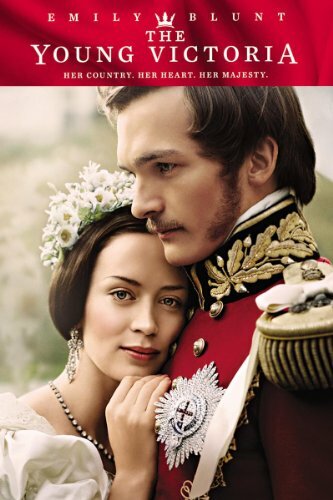 AND Keli is offering a copy of the DVD, "The Young Victoria," on my (Susanne's) blog. (Click here and leave a comment, including a way to contact you.) The drawing runs through tomorrow. Saturday, 9/15, we'll announce the winner ... and Keli shares her writing journey, too. Hop on over! To learn more about Keli, you can visit her Victorian-style cyber home at www.keligwyn.com, where you’ll find her parlor, study, carriage house, and more, along with her blog and her social media links. Don't forget to leave your email addy in the comments if you'd like to be entered into the drawing! Welcome to the Inkwell, Keli! You've hosted a few of us over on your blog and it's lovely to have you here to celebrate your debut novel--which sounds like a lot of fun, by the way. I'm sorry to hear of your diagnosis and I'm reminded that I've missed that baseline bone scan and it's beyond time to get one. Thanks for the health reminder! I think the biggest shock I've had at a doctor's office was when I took my grandmother in and he told me she had congestive heart failure. I didn't understand that it's a progressive disease and can be treated fairly successfully. It sounds like a death sentence - and one that is about to be complete. I'm happy to hear your diagnosis has lead to a boost in such nice exercises with your husband. IN such a beautiful area, there must be quite a few lovely places to go. What a wonderful post, Keli! It's such a pleasure to see you here at Inkwell Inspirations, and all around the web, with your published book!!! I am glad that your diagnosis actually led to some positive results in your life. I hope that others will be encouraged to take good care of themselves and keep the faith that change can be part of a greater plan. I was sidelined at age thirty by a hereditary thyroid disease. My mother and father separated shortly after they were married, and I know very little about my father and his family. The thyroid disease was a shock--no one on Mom's side of the family had thyroid problems. I was able to determine from my father that thyroid disease was quite prevalent in his family. My health and life were drastically changed, and I found out that I was not Superwoman. I was human after all, and I had to relearn how to live. Best wishes for much success! I definitely relate, Keli. Oddly enough, at age 38 I was diagnosed with super high cholesterol, even though I was thin and active. Over the next few years, the medicines my doctor had me try left me depressed, overweight, and in pain. This journey has ultimately led me to super healthy eating, even more exercise, and nutritional supplements. Although my cholesterol is still a little bit elevated, I feel healthier than ever, which is a blessing. Good morning! Keli, thanks so much for sharing with us here at the Inkwell. I love the book! As I read your post, I thought that everyone will experience something like this at some point in their lives--either for ourselves or someone we love. I appreciate how you allowed God to strengthen you through the experience and how your faith grew as a result. Good morning, Virginia C! What a shock to receive that diagnosis. I'm sorry you had to go through that! I hope everything is under control now. I'm not Superwoman either. It's taken several health blips for me to come to terms with that, LOL. Thankfully, our God is strong! If you'd like to enter the drawing for Keli's book, come on back and leave a comment with a way to contact you. I'd love to enter you in the drawing! Hey Deb--I'd like to take a nice walk with Keli and Gwynly, too! They live in a gorgeous setting. I didn't know that about congestive heart failure, either. What a devastating experience. I'm glad you were with her. Dina, I never knew about your cholesterol. It's a scary thing. I admire how well you take care of yourself. Keep being brave. What a shock. Those words alone - 'come in to discuss...' - take care of yourself and remain strong and keep writing! Susie, probably I haven't mentioned it much because the high cholesterol itself doesn't bother me in any way. Only the medicines for it bugged me. It turned out that in my case of genetic high cholesterol, the main problem wasn't eating too much cholesterol, it was eating too much sugar, which doctors don't seem to know much about. Cutting out sugar, taking plenty of fiber, and adding turmeric to my diet lowered it a lot. Still not where the doctor wants it, but my ratio of HDL to LDL is very healthy. IP Lawyer--that would be shocking, indeed! Thanks so much for stopping by. If you'd like to enter the drawing, come back and leave your email addy in the comment. Thanks! Dina, I never knew about sugar and cholesterol. Or turmeric... it's in a lot of Indian recipes, which I love. And now it's making me hungry for a big bowl of malai kofta. Mmm. Seriously, thanks for the info about sugar and turmeric. I'm going to have to look into this! Debra, I can relate to how frightening it is to hear the congestive heart failure diagnosis. As you said, the foreboding words conjure fear. Gwynly and I first heard them when my father-in-law was batting a fatal bout of pneumonia. Combined with his CHF, he couldn't fight the disease. At the time I didn't realize he'd had CHF for a long time. He never told us, if he knew. It was only later that I learned CHF can be treated. I'm so grateful for the many medical advances that have been made. We're blessed to have such wonderful health care in our country. Virginia, I'm sorry you're dealing with thyroid disease. My mom has it, as did her mother, so I have my doctor ask for my thyroid to be tested every time I have a physical. I know to be on the lookout for it. In your case, I can understand why the diagnosis came as a shock. I'm glad you were able to learn the history and get the help you need. I hope you're able to live a fairly normal life, although it sounds like you did have to make some adjustments. Wow, Dina, I never would have guessed that you deal with high cholesterol, so I can see how the diagnosis came as a shock. I'm glad you're able to keep your numbers in the healthy range with diet, exercise, and supplements and that you feel better than ever. Susie, thanks so much for hosting me here at Inkwell. I appreciate the invitation. You mentioned "several health blips" in your life. I hope none were too serious and that you're doing well now. IP Lawyer, thanks for stopping by--and for the words of encouragement. In those darker moments we sometimes forget that God wishes only good for us. It's good to be able to look back and recognize resulting blessings. In his mid-50s my DH went in for an annual checkup one day and the doctor wouldn't let him leave. Despite no apparent symptoms, he was sent directly to the hospital where he ended up with emergency heart bypass surgery a couple days later! His heart actually stopped just prior to the surgery but because he was being monitored in hospital they were able to revive him. Afterwards he continued in ministry with renewed energy for several years and is now fully enjoying retirement. It was a scary time in our lives, but he now has enriched life because of it... and I have him. God is good! Turmeric is supposed to be good for the brain - it's one of the superfoods thought to slow the onset of dementia. I guess we'd have to study the Indian population to find out! And a good excuse to eat more Indian! I have Virginia's address anyway - she happens to be one of our regulars and a winner from our Blogoversary drawing! Keli, I lost my grandfather to heart disease in the 60s and I know that the newer medicines would have kept him with us a lot longer. Turmeric reduces inflammation, which helps with all sorts of issues including genetic high cholesterol in which the body makes too much cholesterol in response to inflammation. Sugar, on the other hand, causes inflammation. Sugar also makes my fingers tingle, and since my doctor says my blood sugar is fine, I assume it must have something to do with inflammation as well. Carol, what an amazing story. I'm so glad your husband is healthy and well. How scary that time must have been! God's hand was truly in the timing of that doctor appointment. Interesting about turmeric. I'm going to have to get some. I only have it in a curry blend right now. I learn so much from everyone! Deb, I'm sorry about your grandpa. That must have been very hard. It is amazing to see how medicine improves all the time. Chemo keeps changing, surgical methods change... Not everything is better, but I was just reading about some childhood cancers. Twenty years ago a type of leukemia had a survival rate of 4 percent. Now it's 84. Praise God. Keli, I stopped by this morning and left a nice long message - but it didn't publish and I had to dash off to work. I wanted to say how awesome I think it is that you ran right out after that devastating diagnosis and took control of your treatment in such a positive and non invasive way. I really love how your marriage has been blessed by it, too. I'm praying that your next scans shows no more bone loss - and even some rebuilding! I love all the buzz your book is generating and I hope there are many more successes in your future. Thanks for coming to the Inkwell, Keli. Although not health issues, I have seen God turn some very unpleasant life circumstances around and use them for good in my life, too. If only I could get over my hate/hate relationship with the "e-word." Suzie, Blogger is not behaving for a few people today. I'm glad you came back and were able to get a comment in! Keli's faith is inspirational, isn't it? Lisa, it's amazing how God can use everything for good, isn't it?